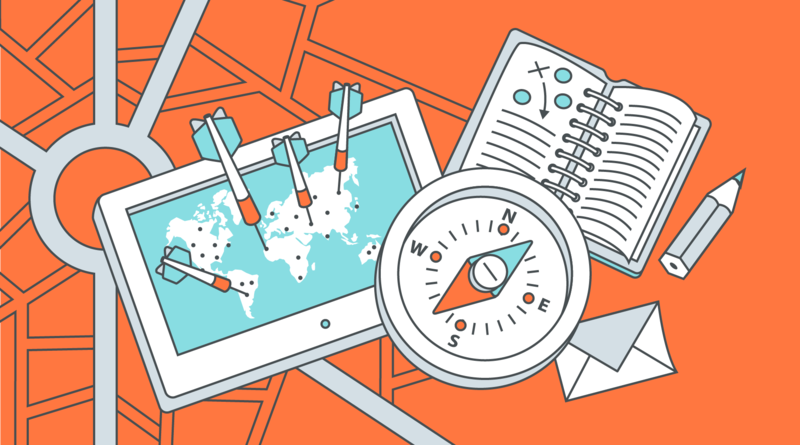 Localisation of B2B marketing content for markets abroad has become more than just translation. In this digital era, new technologies like predictive analytics and machine learning let marketers observe the nuances of buyer behaviour - enabling them to target buyers at just the right time. Leads who are nurtured with targeted content produce a 20% increase in sales opportunities, according to DemandGen. Personalised emails improve click through rates by 14% and conversion rates by 10%, according to Aberdeen. Personalised web experiences see an average 19% uplift in sales, according to Monetate/eConsultancy. In order to serve up relevant emails or ad banners to target buyers when they need it, localised content for specific overseas markets is even more critical. But if you’re a global or regional marketer, how do you personalise your B2B content marketing for local audiences effectively and efficiently? Be Global-Centric. Don’t treat translation and localisation as an afterthought. Build them into your marketing program from the start. Keeping your content universal and culture-neutral from the start helps when you tweak it for local context later, and avoids things getting 'lost in translation'. Talk like a Local. Spend time and budget translating your B2B marketing content into the local language. This investment will benefit your bottom line. In a study by Common Sense Advisory, Fortune 500 companies that expanded translation budgets were 1.5 times more likely than their peers to report an increase in revenue. Get Personal. Rely heavily on your local in-country marketers during the initial strategic planning and throughout the program to ensure your content matters to local buyers on the channels they use. If you don't have this in-house, consider hiring a content strategist who understands the market to identify everything from top keywords in the local language related to your product, to the most commonly used social channels for your target audience. One size doesn't fit all. Don't assume the same customer pain points in your home market are shared by customers abroad. Do your homework and conduct in-depth market research of customers in each country, their unique pain points, their favourite channels, payment modes and how you stack up against local competitors. Time and again, companies have failed because they've applied the same playbook used at home to markets abroad. These are just a few tips. With personalisation front and centre in marketing, gone are the days when corporate HQs rolled out global B2B marketing programs without considering local cultural needs. Want to read more about how to do global marketing in this digital era? 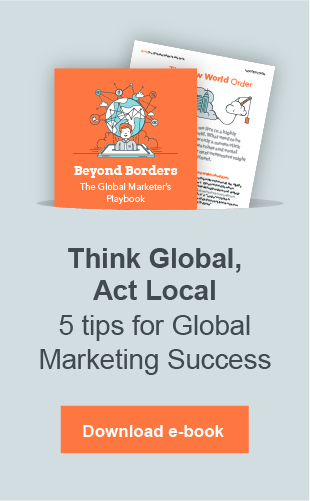 Download our latest ebook on the five elements of successful global marketing.